Design Creative Bling Doing our best to help you create on a budget by keeping our prices low. We recycle packaging whenever possible to keep shipping cost down. We do refund shipping cost overages. Your creativity and the Lawn Fawn Premium Dye Ink Reinker go together like peanut butter and Grape Jelly! 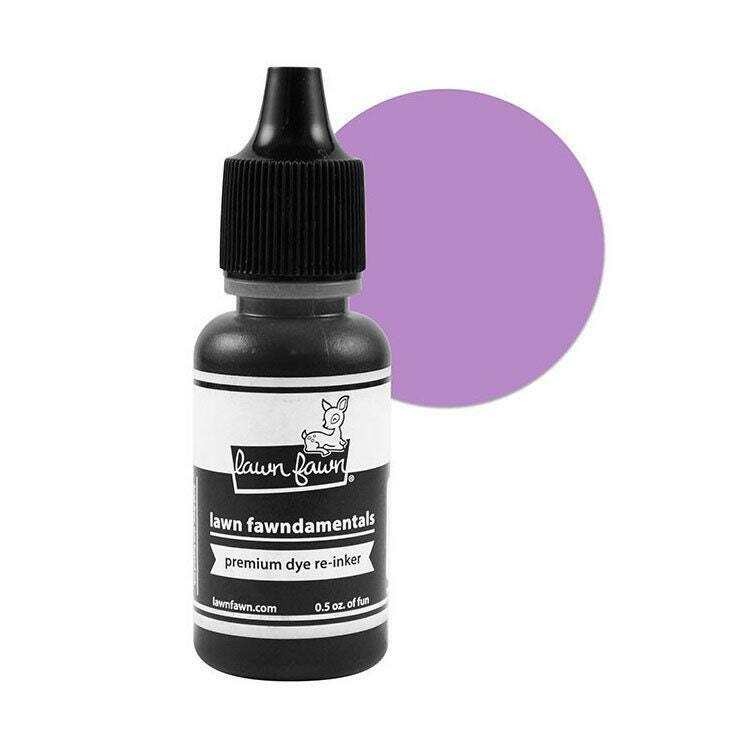 There is one .5 oz dropper bottle of purple ink refill included that is made in the USA.